johnw wrote: Bingi Dreaming Track? Thanks crollsurf. I walked that track a few years ago when we were car camping at Tuross with my wife's family. Still NSW, what feature am I on? Last edited by johnw on Wed 16 Jan, 2019 9:15 am, edited 1 time in total. Are you looking over Blue Lake from crummer spur? Zapruda wrote: Are you looking over Blue Lake from crummer spur? I should know better than make the KNP ones too easy when you're playing Zapruda . Yes, on the Crummer Spur heading up to both Twynams with Blue Lake hidden beyond the rocks on the right. Thanks John. It’s probably a good indication that I spend far too much time in the park. It is without a doubt not doubtful creek. It is definitely a creek. That’s for sure. No idea really but to keep the game moving... Valentine Creek? Hey Tyreless, it’s not Valentine creek. This creek is off track but doesn’t take toolong to reach from the nearest road. johnw wrote: Hell Hole Creek? Yes! Good one John. This is where Hell Hole creek plunges down toward the Tooma River. Zapruda wrote: It is without a doubt not doubtful creek. It is definitely a creek. That’s for sure. I was in the right NP, and the answer was pretty plain, or nearby. Thanks Zapruda. I've yet to walk in that part of the park but the "toolong" clue sent me scurrying for the map. Worked it out from that. Last edited by johnw on Fri 18 Jan, 2019 12:45 pm, edited 1 time in total. 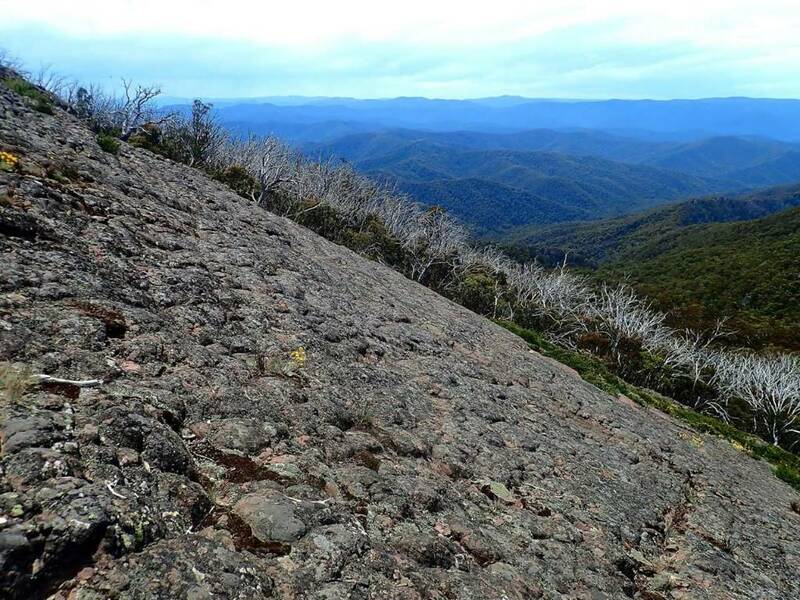 Are you on the Brindabella Ranges? crollsurf wrote: Are you on the Brindabella Ranges? A long way south of there crollsurf. Bobs Ridge off the Cascade trail? Zapruda wrote: Bobs Ridge off the Cascade trail? Not Bobs Ridge but you're not far away. So many possibilities. Is it Rams Head South? Zapruda wrote: So many possibilities. Is it Rams Head South? Not Rams Head South, but I'm at almost the same elevation. Bobs Ridge was closer. The Pilot is getting colder still but I could see it from here. This is a head scratcher John. Im going to go with the Chimneys. Zapruda wrote: This is a head scratcher John. Im going to go with the Chimneys. I tried to make this one harder Zapruda, otherwise you get them too easily . Yes, The Chimneys it is. I had other views from here that would have given it away, such as looking at the Rams Heads. NSW - Where am I enjoying this lovely fire? Oldfields it is. One of my favourites in winter. All yours.